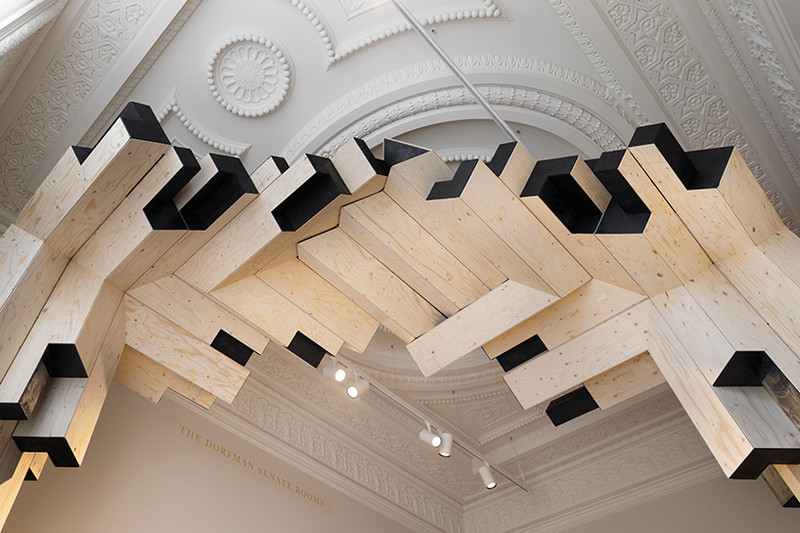 within the ornate setting of london‘s royal academy, gilles retsin‘s latest work explores the real effects of virtual technology and how augmented reality could be used for fabrication, as opposed to just visualization. 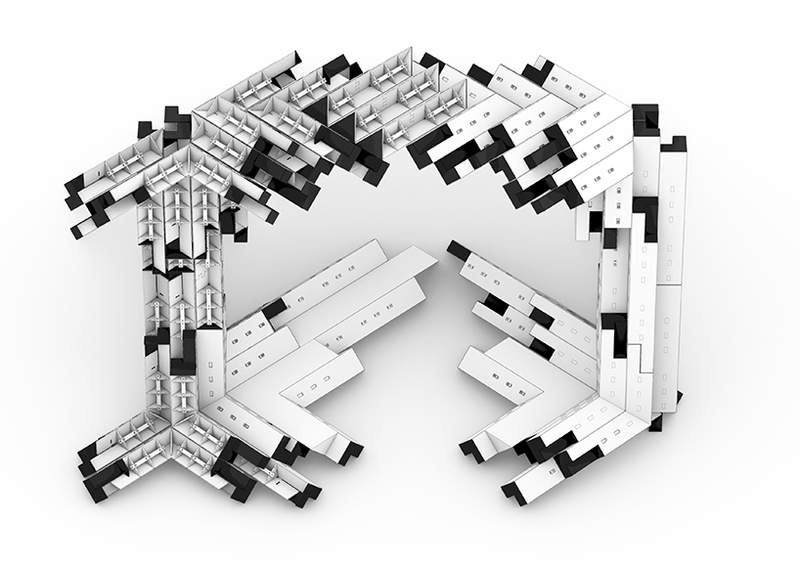 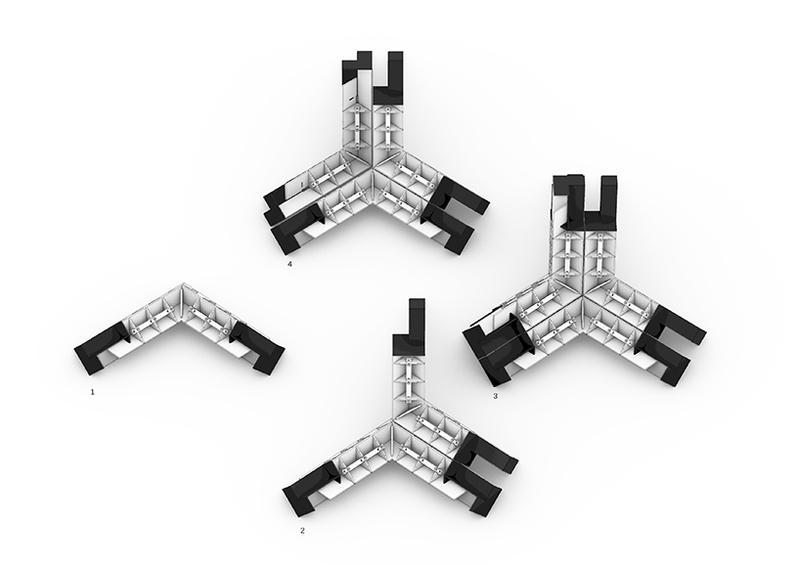 entitled ‘real virtuality’, the project uses a hololens (mixed reality smartglasses) to communicate directly between a digital model and a physical space, resulting in a pre-fabricated design that can be assembled quickly and efficiently. 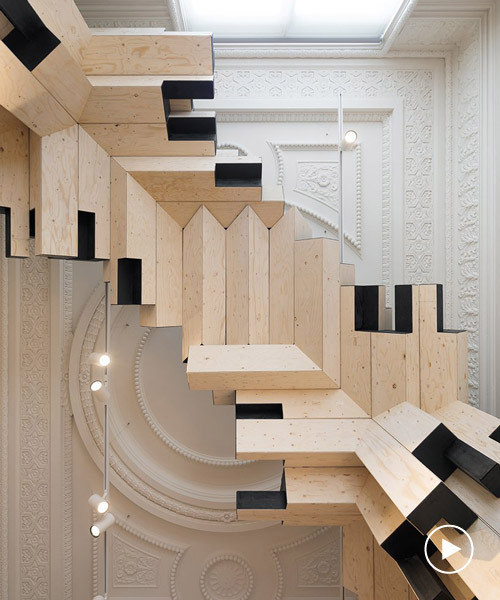 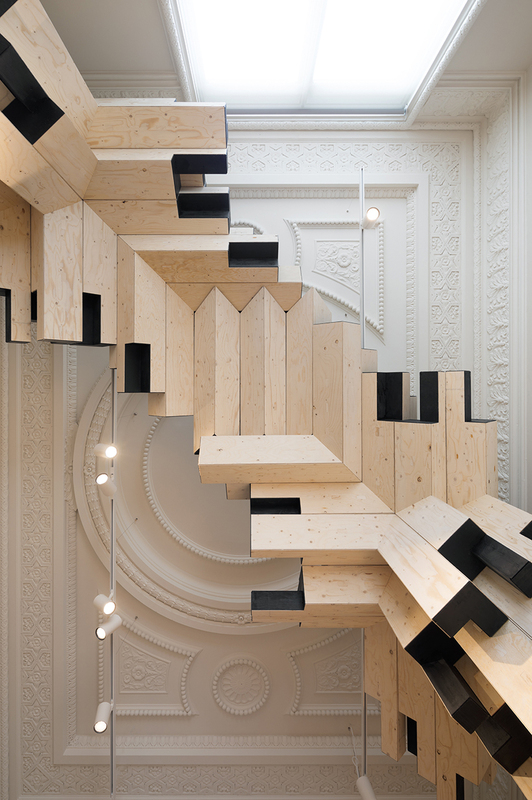 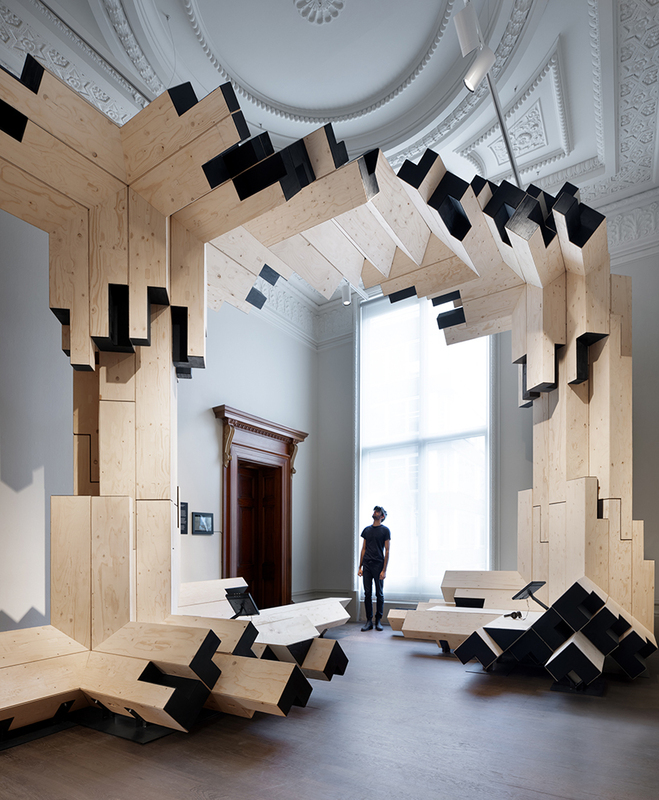 the installation at the royal academy gives a first glimpse of what timber architecture could look like when combined with automation and algorithms. 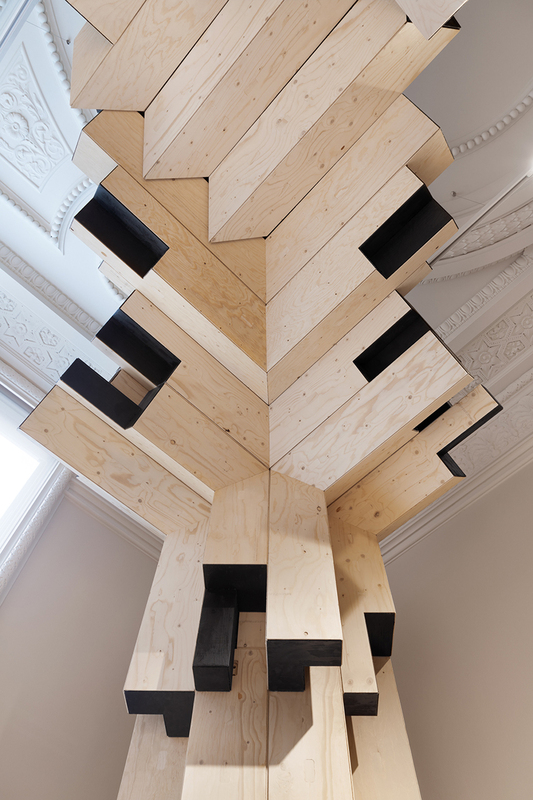 gilles retsin has previously explored these construction method for projects such as the tallinn architecture biennale pavillion (2017) and a multi-family home in wemmel, close to brussels (2015). 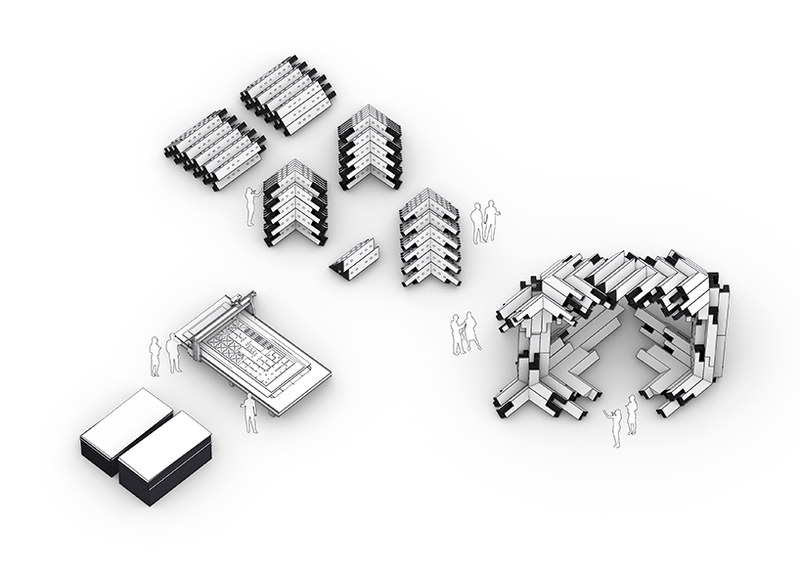 architecturally, the installation is a mere fragment of a larger design, which is not completely materialised, but lets visitors understand and experience what the larger building would be like to inhabit. 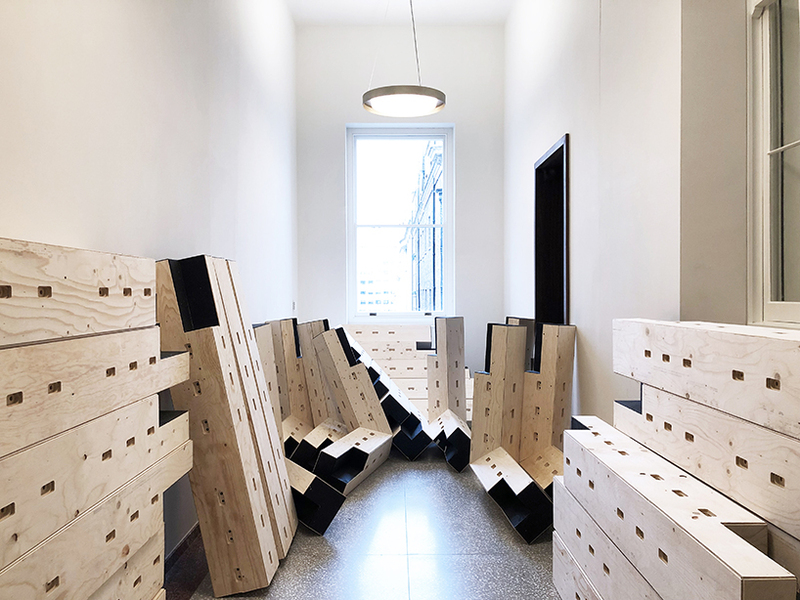 a series of benches within the timber intervention allows visitors to sit down and rest, while watching videos by scanlab projects and keiichi matsuda. 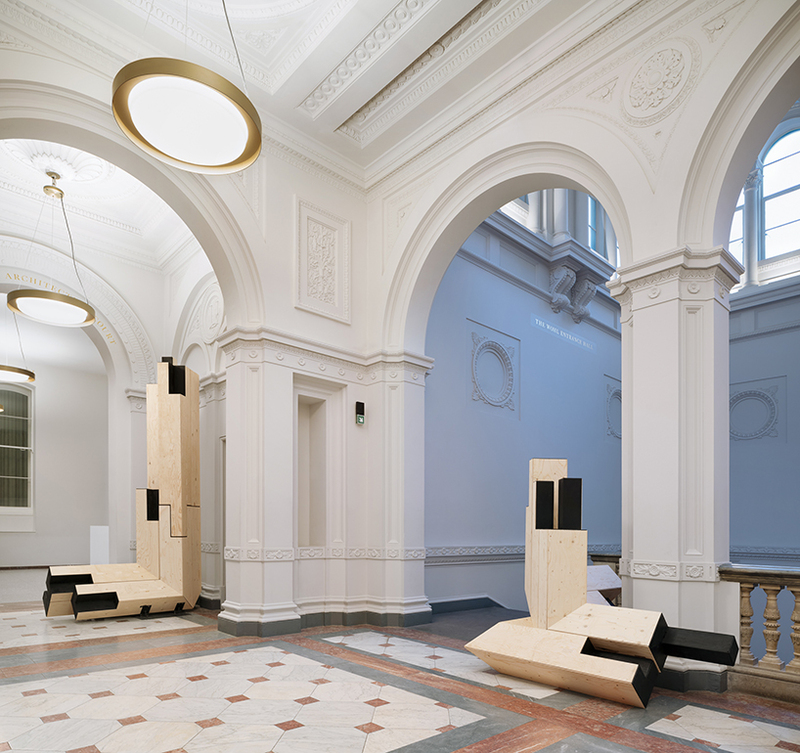 the installation is therefore both a neutral backdrop and a subject of the exhibition. 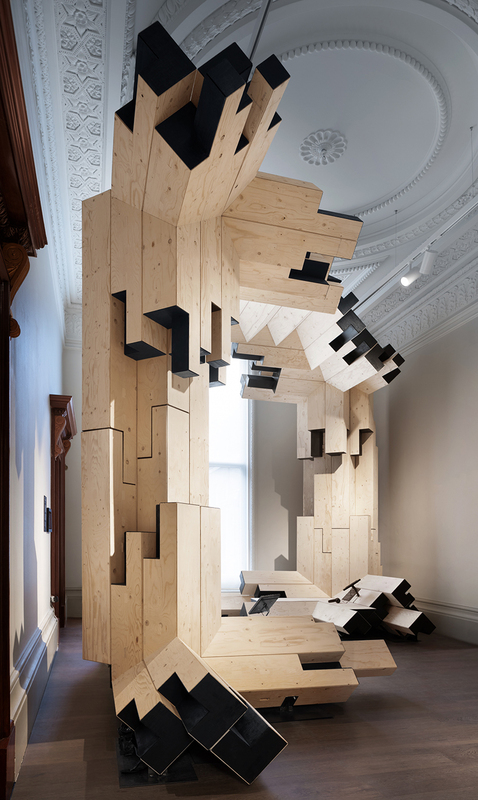 this installation was part of invisible landscapes: imagination (act III), curated by gonzalo herrero. 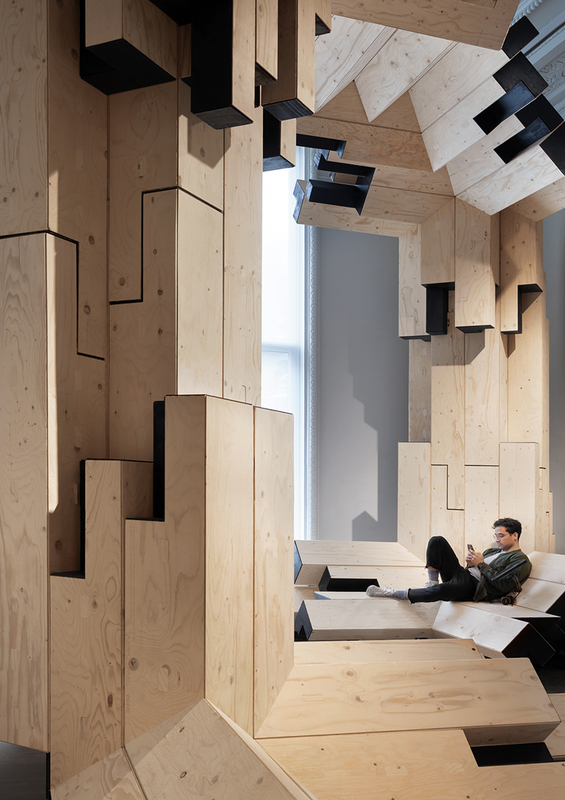 it presented projects by four practices – gilles retsin architecture, scanlab projects, keiichi matsuda and soft bodies. 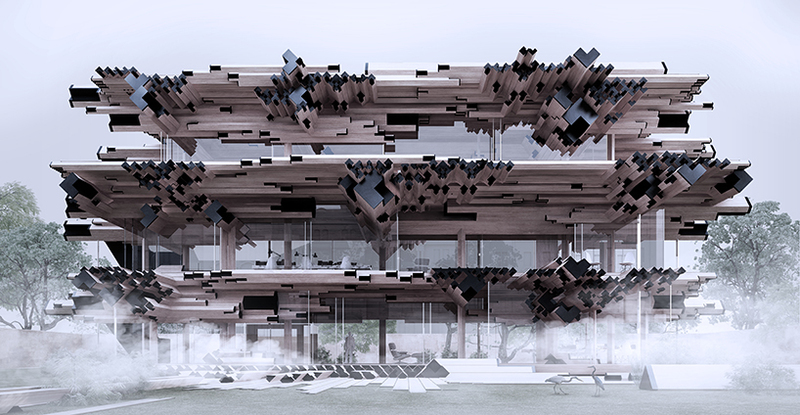 from immersive installations to film and virtual-reality experiences, the third act of invisible landscapes explores how the virtual might transform the physical space and vice versa.